Juicy Music Blueberry Extreme preamp with Cream (turntable) option and remote. 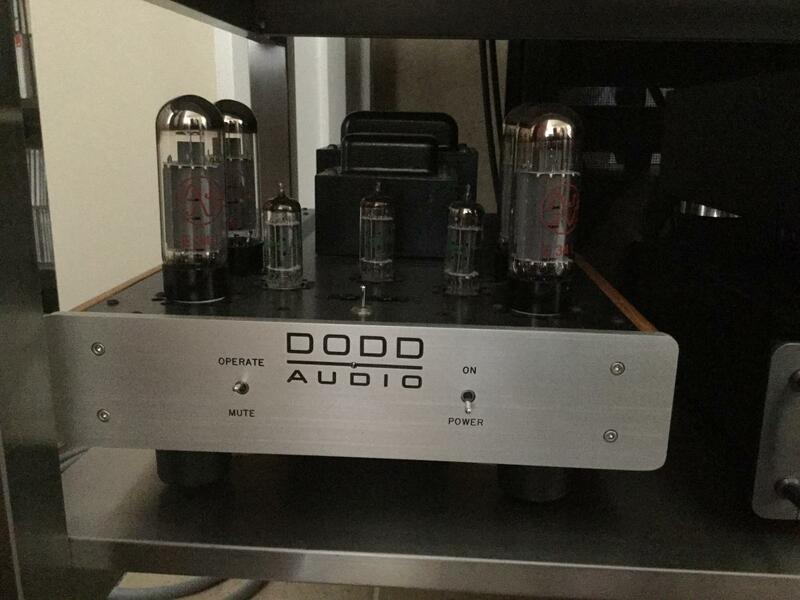 This preamp was just (within the last month) upgraded with Mark Deneen's Maxim upgrades, and the addition of a second pair of line level outputs for a subwoofer, which were not needed (as the upgrades added a whole new bass depth to the BB). These upgrades alone were approx. $500 all said and done. BB comes with a walnut case and stock tubes, and is really excellent in every way...I can find no blemishes on the BB or the walnut case. This BB was one of the very last that Mark made, and the case has square dovetailed edges, not rounded. 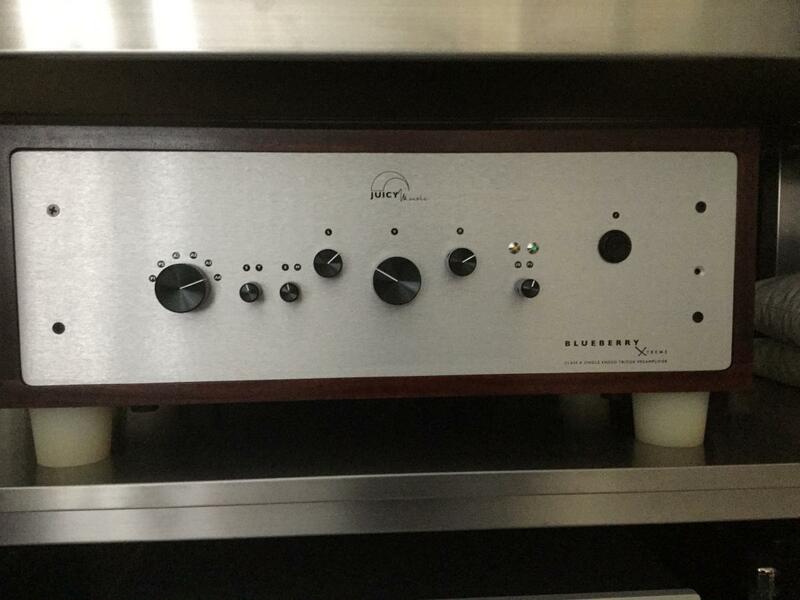 Beautiful sounding and a really excellent preamp, even better now. I would prefer local pick up in **KNOXVILLE, TN** but I also have a custom box for the pre (not for the wooden case) that has survived now two cross country trips to Cali, you pay to ship. Asking $2300.00 **OBO**!!!! 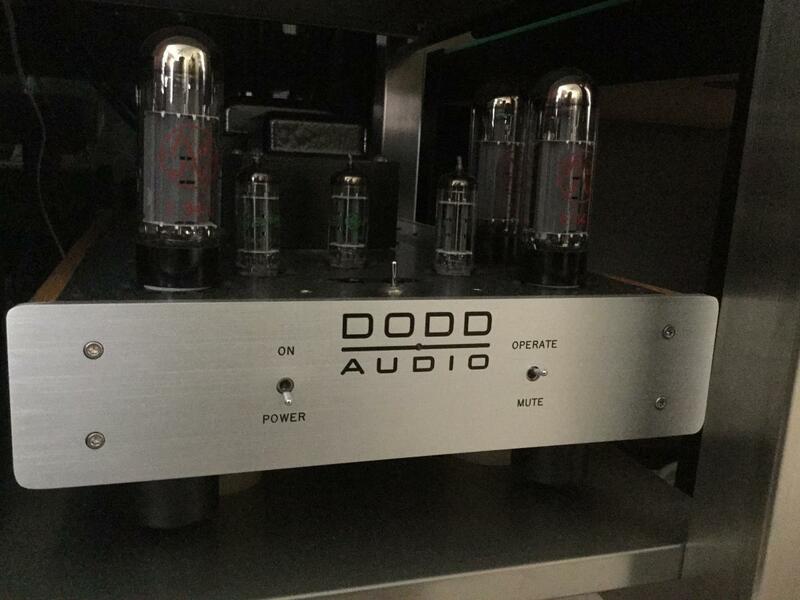 Dodd 120 Monoblocks, 120 Watt, customized to use Mundorf caps (original Sonicaps come with the amps). These amps were the second generation of amps produced by Gary Dodd, and came with basing meters on the deck, however those meters proved easily breakable, so I sent them back to Gary to be redone, and he made the modification back to manual (albeit easy) meter biasing. 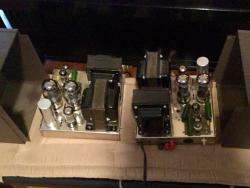 These things have blond oak sides and currently sport 4 EL 34 (JJ) and three GE 7044 tubes per amp. 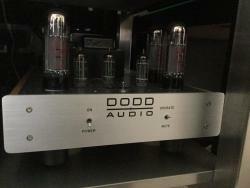 Additional tubes will ship with amps. 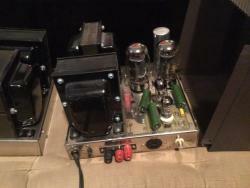 Lots of power from these heavy amps, it is smooth and seamless. 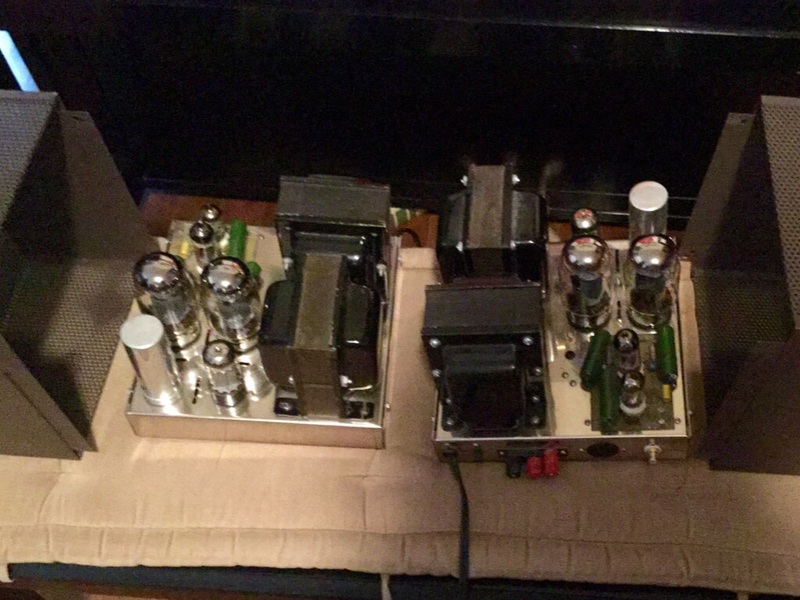 Rare amps, you won't see these come up very often. 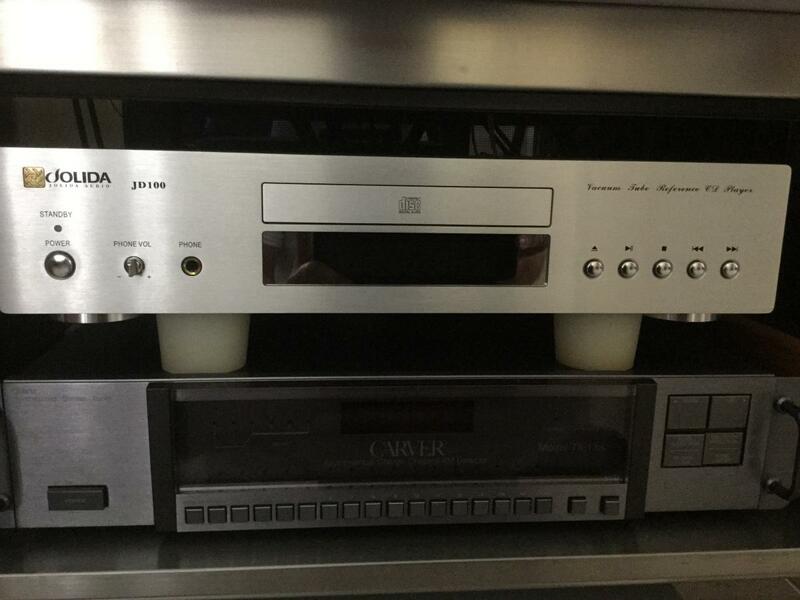 Excellent condition, again no flaws cosmetically or mechanically that I can find. As they are heavy, I would again prefer local pick up, but can ship at your cost. Asking $2200.00 **OBO** !!!. Jolida JD100 - Jolida tube amp, excellent sounding, very low use (as I went to a .flac music server shortly after purchasing CD player). Cosmetically perfect, mechanically like new. 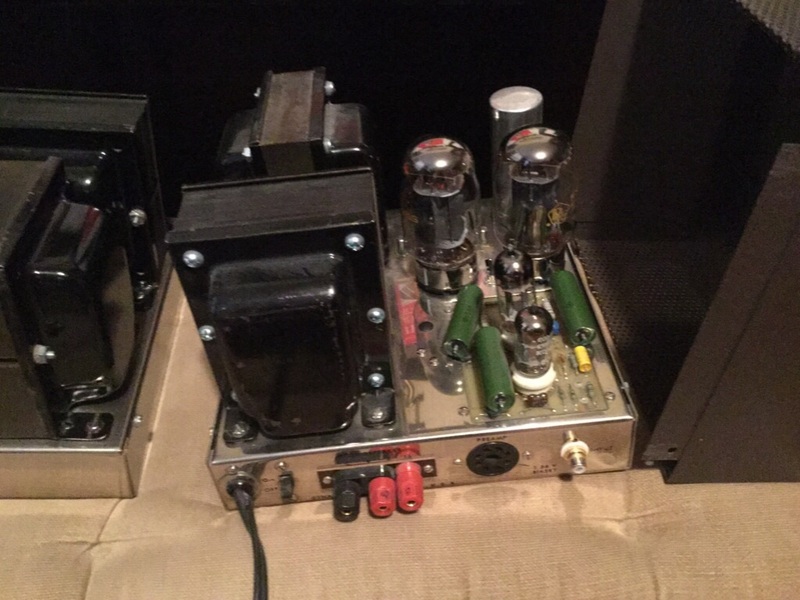 Original tubes and remote ( that is made like a battleship). Asking $500.00 **OBO**!!! 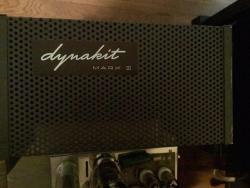 PS: I have a set of Dynakit Mk III's with cages, reworked by NosValves coming up soon for sale, stay tuned. 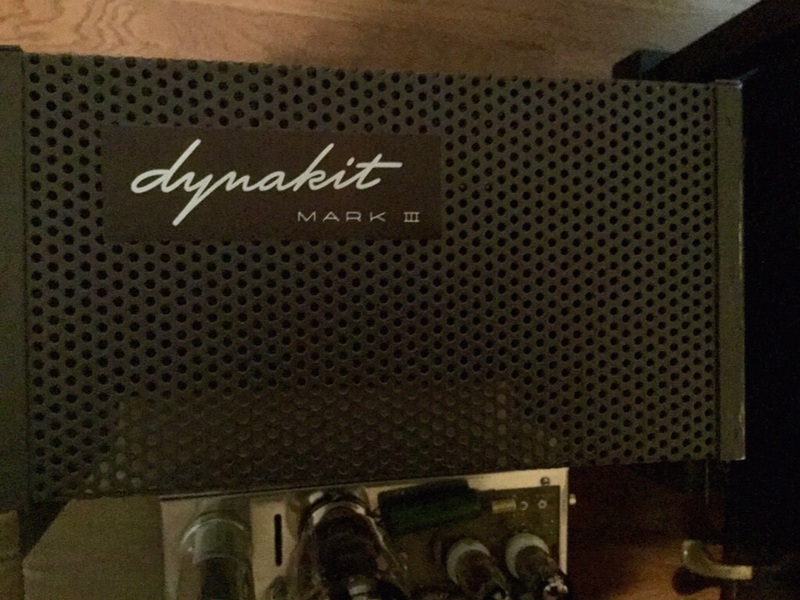 Dynakit Mark III's - I bought these from NOSValves several years ago (he had recapped this pair) prior to my purchasing the Dodds. I bought a new pair of speakers that weren't as efficient as my Klipsch and needed more power, so these have been sitting as backups. They are sweet, putting out 30 watts I believe, and the sound is full and lush. A lovely set, the chassis are very good with only minor blemishes due to age and no corrosion. I have used them very little since purchase, but they are fully operational and need love. They currently sport a pair of Penta KT88's, an will come with an extra set of tubes. Not often you see the cages, and not in this very good condition, with only a slight heat darkening on the top of one cage, I ran these without cages when they were used. I have a few additional parts for them that I never added, like rubber feet, and heavier power cords, which I will include. 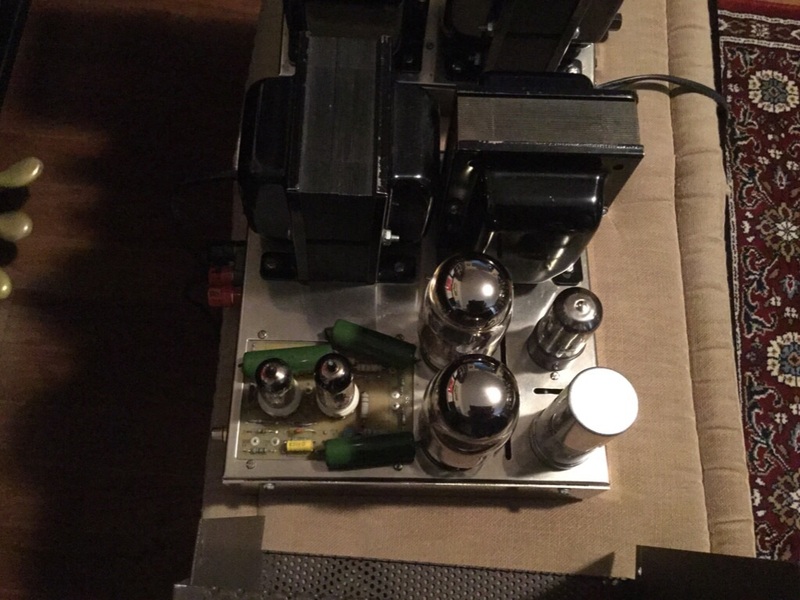 The amps are heavy, same as before, I prefer local pick-up but will ship at your cost. Asking $1200 for the pair, OBO. Still trying to load pics of Mk. III's...will get them up soon. No comments? Offers? Requests? Nothing? I have a perfect Klipsch Academy in black, Carver tuner and 15" Infinity powered subwoofer, too? Also a 12" Orion Dobsonian telescope in unused condition, if anyone is of that persuasion? Looks like everyone is outside enjoying the nice weather. Good luck with your sale of some very nice pieces. I have reduced the prices on these things, any interest now? I also have a perfect Academy center speaker in black ash, good corners, well taken care of for $300.00. Takers? I can't do more electronics at the moment but do tell me more about the telescope for my kiddos. Model, linky thing, price, etc..
That is a badazz telescope for sure! What is the price now? For the blueberry? Do you have a picture of the back? Wonder if it has the ground lift? Ground lift? You mean the switch that can toggle back and forth to change the ground, yes, it has that. 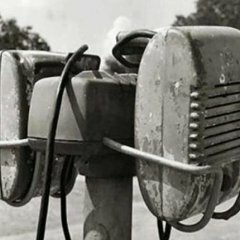 I don't have a back picture, but I can get one; it is still hooked into my system. I still think the asking is fair, but I am up for reasonable offers. I don't need a back picture...it was just to ask about the ground lift "change"
Yes...I was inquiring if it had the switch. You answered my question. That switch can help reduce hums. Sorry to bother.